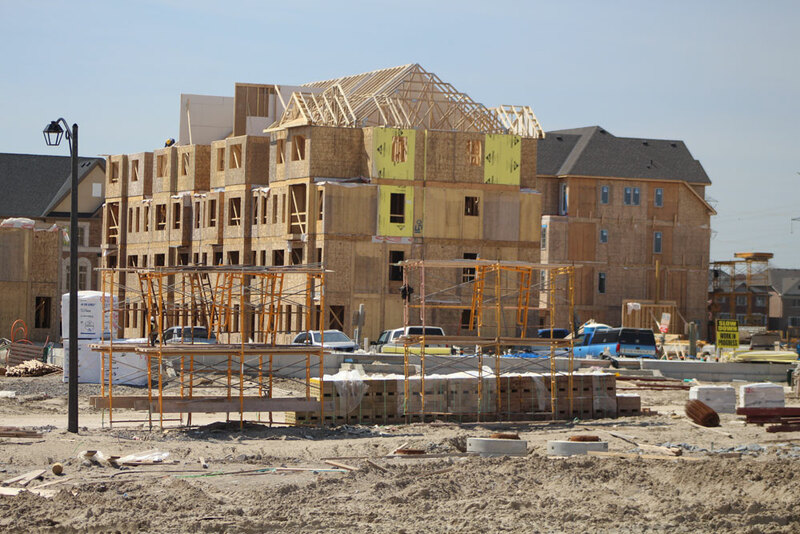 Both school boards in Durham Region are required to implement new development charge bylaws by May, and the proposed rates would see developers paying much more. Residential developers could soon be paying much more in education development charges in Durham. The Durham District School Board’s current education development charge by-law is set to expire on May 1 of this year. Education development charges create a source of funding for boards for growth-related lands costs which are not funded by grant allocations from the province. Under Ontario’s Education Act, boards must qualify to impose these charges. DDSB has imposed charges since 1999, with the by-law updated every five years after that. The current by-law was adopted on April 24, 2014, at a rate of $1,949 per residential dwelling unit. In some other jurisdictions, non-residential developments are charged on a per square foot basis, but the Durham board does not collect non-residential charges. This is based on recovering 100 per cent of growth-related land costs from residential development. The 2014 by-law is set to expire on May 1, and the wheels are in motion to replace it. The board is currently seeking public feedback on the issue, and will hold a public meeting on Tuesday, March 26. It is expected the updated by-law will be passed by April 10. Last fall, the province enacted regulations prohibiting school boards from adopting by-laws that impose rates higher than the current by-law as it reviews the legislation. Essentially, DDSB must continue recovering costs at a 100 per cent rate from residential development until that review is complete. The board is proposing to increase its rate to $11,876 per residential unit and continuing its policy of not charging on non-residential development. However, the board could choose to distribute its cost recovery between residential and non-residential. For example, by increasing the non-residential share to 20 per cent, the residential rate would drop to $9,501 per unit. The province has legislated the non-residential share must be capped at 40 per cent. If the board moves forward with this, the residential rate would be $7,126 per rate, while the non-residential rate would be $7.95 per square foot. In preparing these rates, the school board was required to complete an extensive background study written by Quadrant Advisory Group Limited. Consideration was given to estimated building permit issuances between 2019 to 2034, the number of students generated by new housing projects, possible costs for new schools, and additional land costs to meet student accommodation needs. Board officials must also look at how much it costs to temporarily accommodate students from new residential housing projects until new schools are constructed. An example of this in Oshawa is students being bused to Sunset Heights, Kedron, and Dr. S.J. Phillips public schools until the new Northern Dancer Public School opened last September. As part of the background study, student population growth was also projected over the next 15 years. By 2034, DDSB estimates its elementary student population will grow by approximately 17,580 pupils, and its secondary student population will increase by 7,530. The March 26 meeting will be held jointly with Durham District Catholic School Board. DDCSB’s education development charge by-law also expires on May 1. The board currently charges a rate of $786 per residential unit and does not impose charges on non-residential development. Assuming the board continues with 100 per cent cost recovery from residential development, the charge will increase to $4,004 per unit. However, the Catholic board also could shift its cost recovery balance to non-residential. At a cost recovery of 20 per cent, the residential rate would drop to $3,203 per unit, and further to $2,402 at the maximum 40 per cent. DDCSB has also completed a background study. While on a smaller scale, the Catholic board is also estimating growth in its student population over the next 15 years. It is projected to see approximately 5,660 new elementary pupils and 2,530 new secondary students by 2034. Most of this increase is expected to be fuelled by new developments. The Catholic board is expected to pass its by-law on April 15. The public meeting on March 26 takes place at the DDSB’s Education Centre at 400 Taunton Road East, beginning at 7 p.m. It will include information on the background study, education development charge policies and the by-laws. Education development charges became a contentious issue and is a notable development in Oshawa last year. Richard Summers, developer of the Genosha Hotel, challenged approximately $250,000 in charges levied on the project by the Durham District School Board. However, city council eventually ruled there was not enough evidence to provide Summers with an exemption.